Archibald "Archie" Gunn was born October 11, 1863 in Taunton, Somersetshire, England. His father, Archibald Aitken Gunn, was born in 1818 in Scotland. 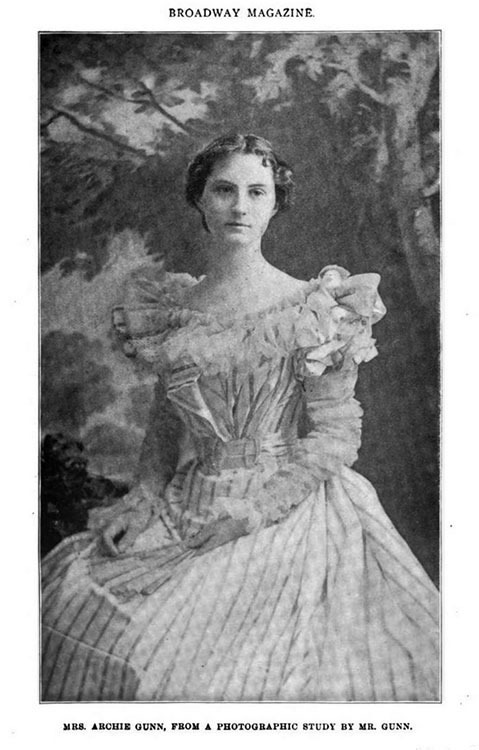 His mother, Elizabeth King, was born 1837 in England. 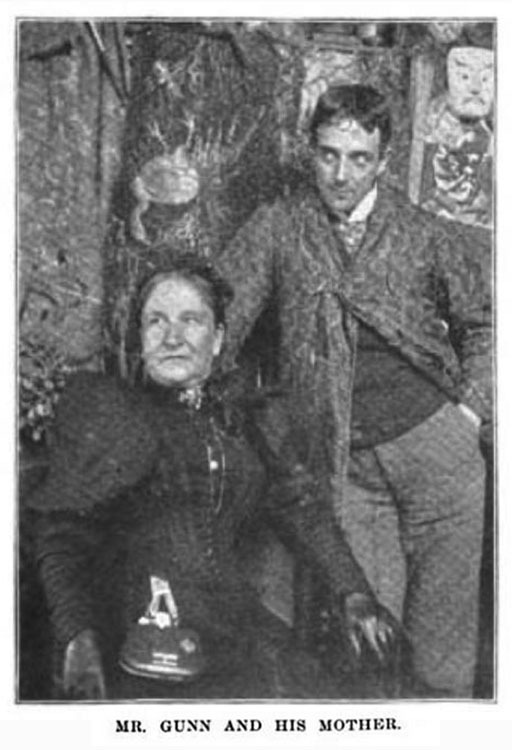 The parents married in 1860 and had four children, Alice (b.1861), Archie (b.1863), Christina (b.1865), and Whitworth (b.1868). The father was a portrait painter and member of the Royal Academy of Art. His portrait of Prime Minister Benjamin Disraeli (1804-1888) is on display at the Victoria and Albert Museum in London. The mother was a popular pianist in English concert halls. In 1868 the family lived at 213 Icknield Street West in Birmingham, Warwickshire, England. In 1872 the family lived at 51 Darlington Street in Staffordshire, where the father was hired as a Professor. Archie Gunn received his earliest art training from his father, and at Tottenham College in Staffordshire. In 1878 he attended the Calderon Art Academy in London. In 1880 his father, Archibald Aitken Gunn, was appointed Headmaster of the Wolverhampton School of Art in Staffordshire. In 1880, at the age of seventeen, Archie Gunn was commissioned by Lord Rowton to paint a portrait of Lord Beaconsfield, which was presented to Queen Victoria. 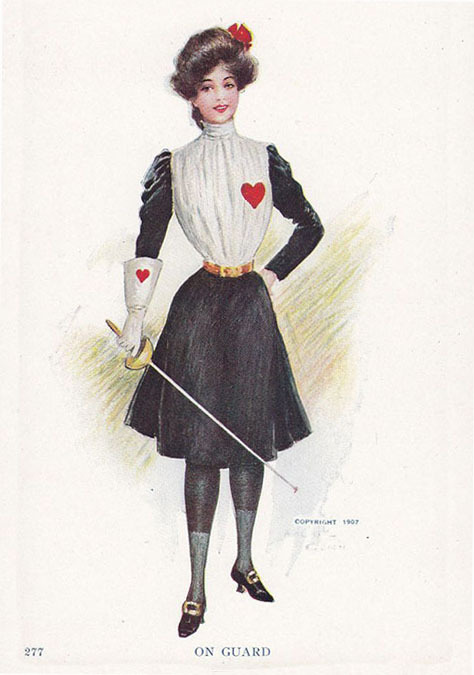 In 1883, at the age of twenty, Archie Gunn designed posters and costumes for theatrical productions of Gilbert and Sullivan in London. 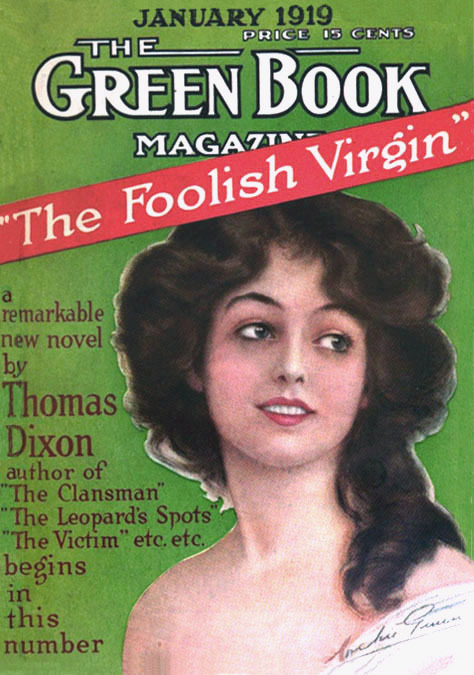 He used the pen-name "Chicot" for some of his theatrical posters. 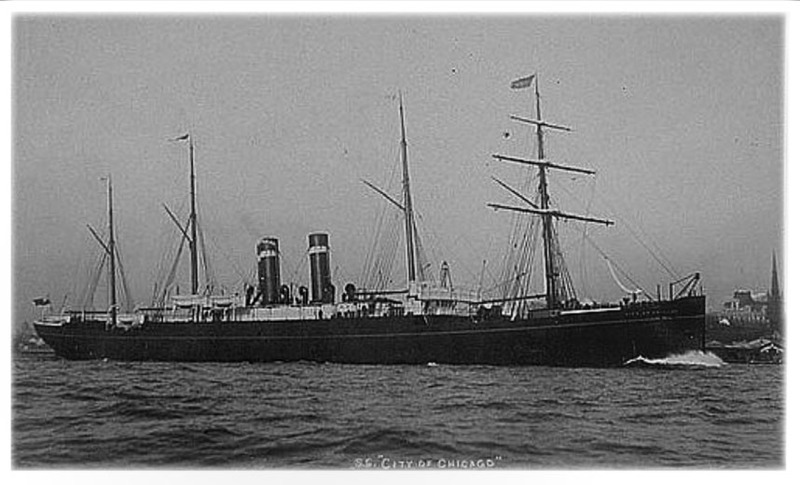 In December of 1889, at the age of twenty-six, Archie Gunn left England and traveled to America on the Steam Ship City of Chicago. 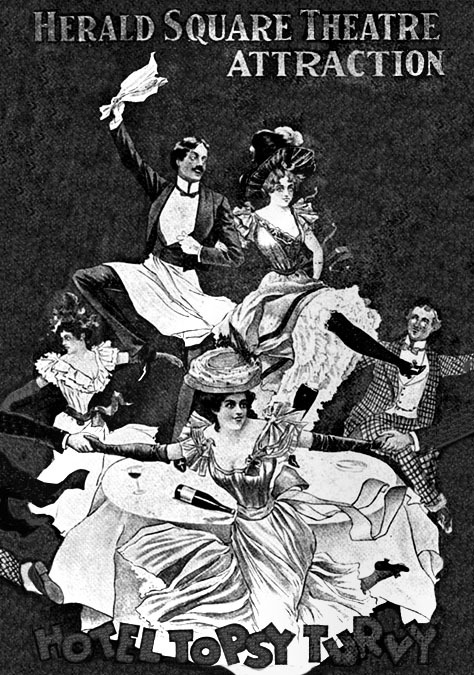 The ship arrived in port at New York City on New Year's Eve 1889. The artist settled in Manhattan and quickly began his American career as a commercial artist. He opened an art studio in the Van Dyke Building at 939 Eighth Avenue and 56th Street. 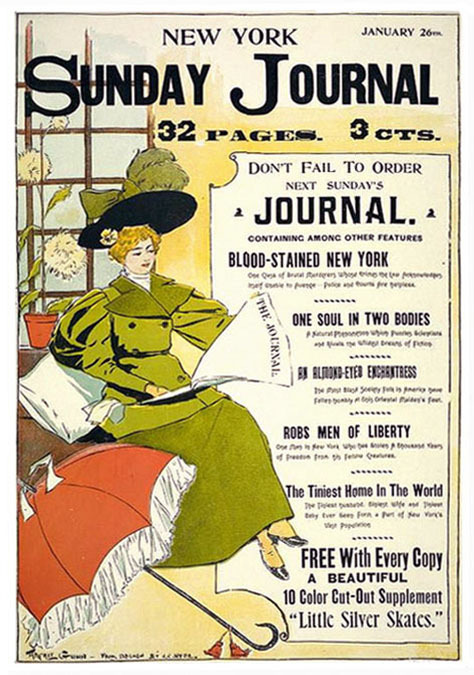 In 1890 he became an editorial artist for The New York World newspaper, and also illustrated the magazine Truth. In 1890 the artist's parents left England and moved to America, where they settled in Bayonne, New Jersey. On October 4, 1891 the artist's father, Archibald Aitken Gunn, died at the age of seventy-three in Bayonne, New Jersey. After this tragic death the artist's mother came to live with her son in NYC. 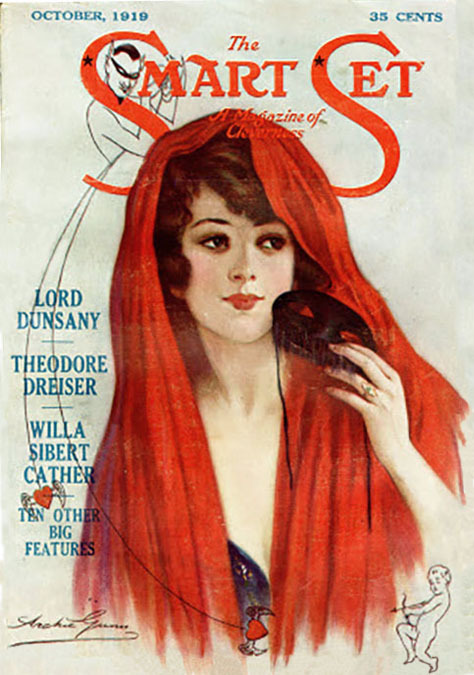 By 1896 Archie Gunn had become a popular designer of theatrical posters, such as "The Hotel Topsy Turvy," "In Gay Paree," "A Dangerous Maid," "The Runaway Girl," "Zaza," and "The Man In The Moon." His drawings of attractive show girls were widely celebrated as "Archie Gunn Girls." On October 28, 1897 Archie Gunn married Marie Therese Higgins in St. Francis Xavier's Roman Catholic Church on West 16th Street in NYC. 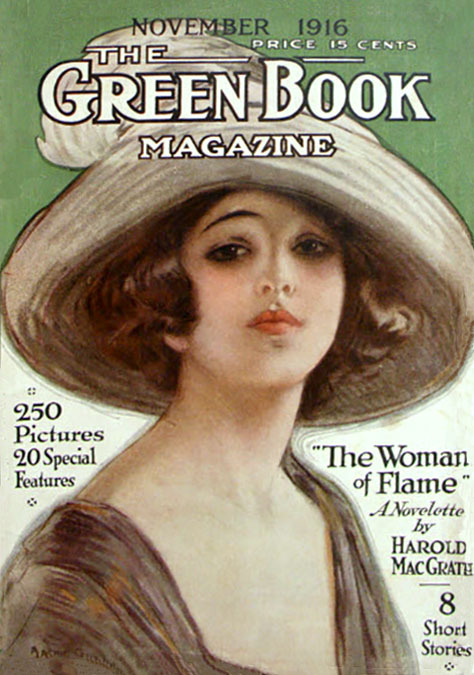 She was born on December 28, 1875 in New York. The married couple moved to Long Island, where they lived on Columbus Avenue in Garden City, NY. Their household included two servants. After his marriage, Archie Gunn applied for U.S. citizenship. On November 15, 1898 their daughter Sylvia Gunn was born. 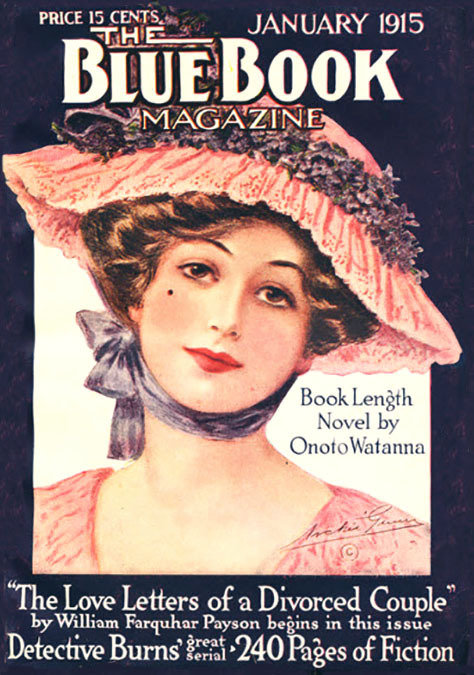 The greatest public renown for Archie Gunn came from his posters, calendars, prints, and postcards of beautiful girls, which were fashionably displayed in homes throughout the nation at the turn of the century. 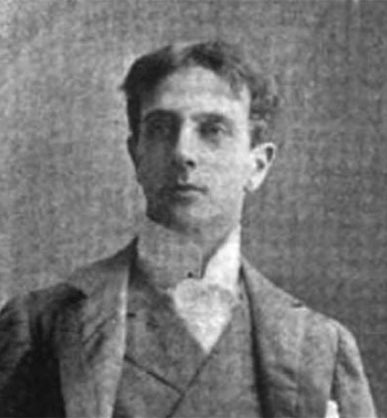 In 1898, when interviewed by Broadway Magazine and asked whether an artist should devote his talent to commercial advertising, Archie Gunn answered,"Why not? If it is given him to please and educate with a brush I should fancy that he would be justified in using any legitimate channel in bringing his work before the public. The difficulty with commercial publishing houses is that they are not willing to leave the design to artists' discretion. They have certain hard and fast inartistic ideas that they always want you to introduce." 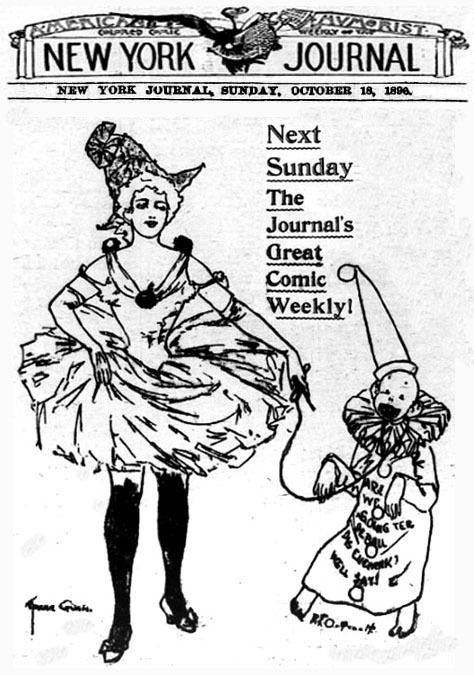 On May 26, 1902 his daughter Sylvia died at the age of three in NYC. After this tragic death he and his wife left NYC and moved to 23 Lafayette Street in New Rochelle, NY, which is a forty minutes north by commuter train from Grand Central Station. 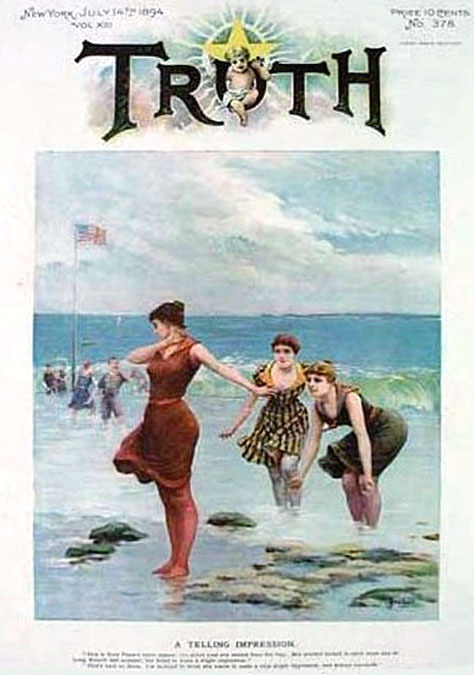 Many of America's most celebrated artists lived in New Rochelle at that time, such as Frederic Remington (1861-1909), Charles Dana Gibson (1867-1944), and Orson Lowell (1871-1956). On August 9, 1903 Archie Gunn's daughter Marion was born. 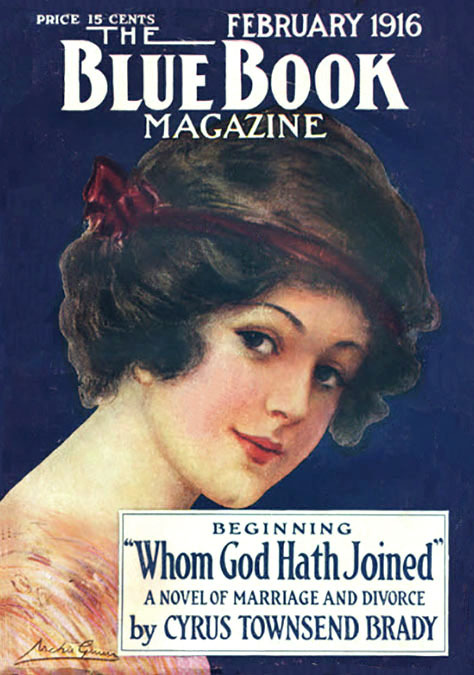 Two years later, on October 21, 1905, his youngest daughter Elaine was born. In 1910 Archie Gunn was recorded by the U.S. Census as living with his wife and two daughters at 519 West 124th Street, in a Harlem apartment building that faced Riverside Drive, and overlooked the Hudson River. His art studio was located at 120 West 49th Street. 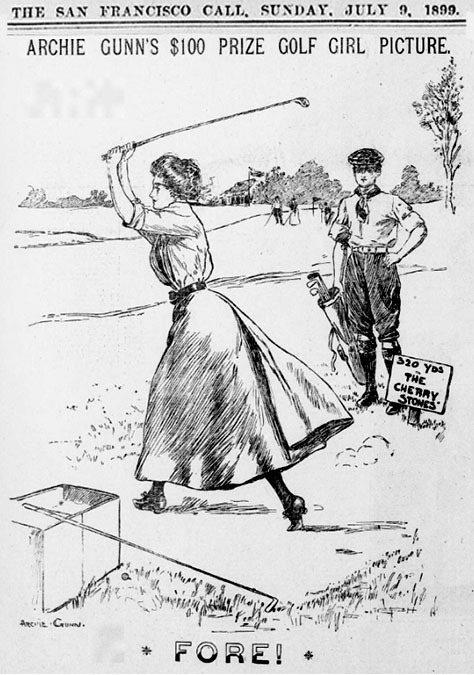 On March 9, 1910 Archie Gunn's mother, died at home in Arlington, New Jersey. 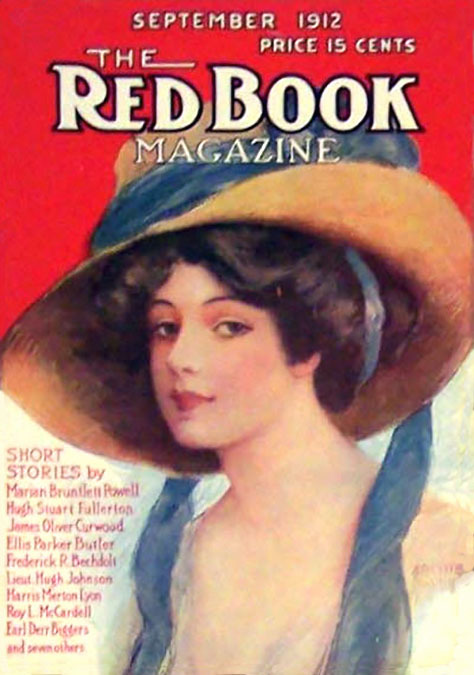 During the 1910s Archie Gunn became the top cover artist for Red Book Magazine, Green Book Magazine, and Blue Book Magazine, all of which typically featured beautiful portraits of women wearing stylish hats and clothing. 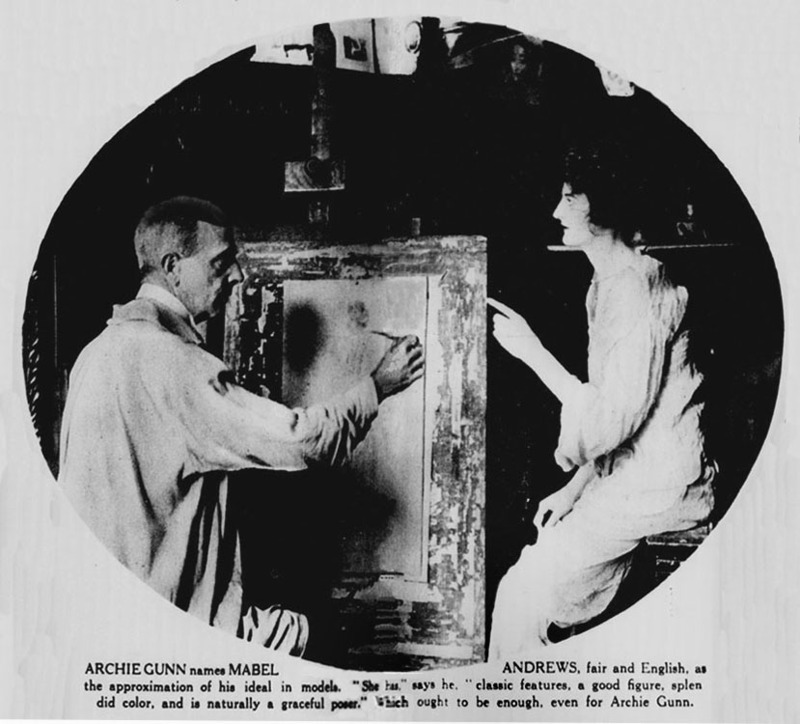 On November 12, 1916 The New York Tribune published a feature article on famous artists and models, which included a photograph of Archie Gunn and his favorite model Mabel Andrews. In 1917 Archie Gunn was listed as poster artist with an art studio at 67 Madison Street. In 1918, during the Great War, Archie Gunn was fifty-five years old, married and the father of two, so he did not serve in the military. In the 1920s Archie Gunn was commissioned by the Gerlach Barklow Calendar Company. 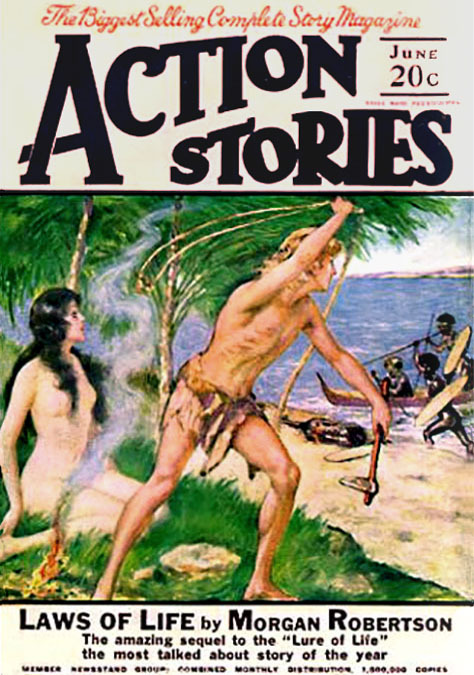 In the roaring twenties Archie Gunn painted covers for pulp magazines, such as Action Stories, Breezy Stories. 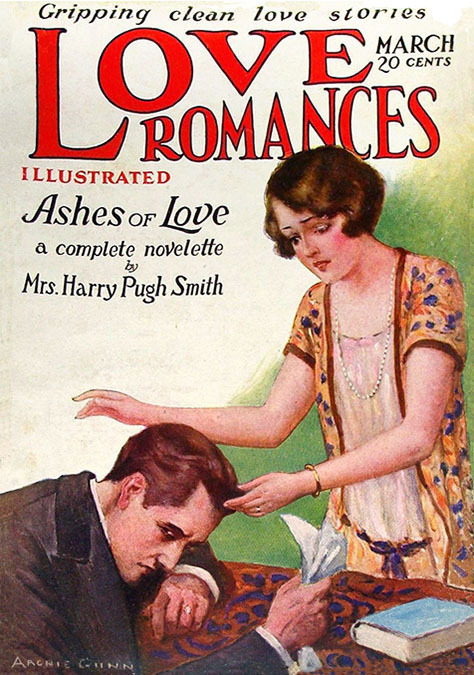 Illustrated Novelets, and Love and Romance. In 1928, when Archie Gunn was sixty-four, health problems prevented him from working. He fell ill and entered the Manhattan Sanitarium at 154th Street and Broadway. Archie Gunn died after a long period of illness at the age of sixty-six on January 16, 1930.